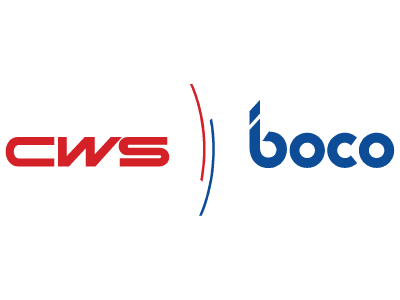 Together with partner diva-e, Intershop is driving the digital transformation of CWS-boco. This leading global provider of washroom hygiene and textile solutions offers its B2B customers an easy-to-use online store and service portal powered by Intershop technology. But that’s not all. Since relaunching its e-commerce platform, the company has also begun leveraging the Internet of Things (IoT). Using smart soap and hand towel dispensers that monitor fill levels, for example, CWS-boco can now optimize its storage and procurement processes. The CWS-boco Group posted sales of around EUR 800 million in fiscal 2016. The company employs around 11,000 people in Germany alone. CWS-boco has more than 60 locations across Germany. Provide each B2B shopper with a role-specific selection of products, services, prices, and options. Integrate a range of proprietary systems and services from third-party providers plus a centralized back-end processing tool for store users. Provide sufficient scalability and performance for future growth and roll-out in multiple countries. Powerful, scalable Intershop Commerce Management 7 with individually tailored key account stores that provide customized content for each customer. Integrated ERP and CRM systems for efficient customer data management and optimal control of business processes. High degree of customer-specific functionality combined with reliable, documented code and all relevant legacy data from the previous system. Single sign-on for easy login to web store. Extended B2B module for a convenient shopping experience. IoT elements (fill-level monitoring) as integral part of service offering. Digital commerce is a key driver of our strategic business growth. A complete relaunch of our existing web store was absolutely essential in order to maintain our competitive edge. We’re extremely pleased with the new Intershop platform, both from a technological and a commercial perspective. Our B2B customers now benefit from a cutting-edge store and a more convenient shopping experience.